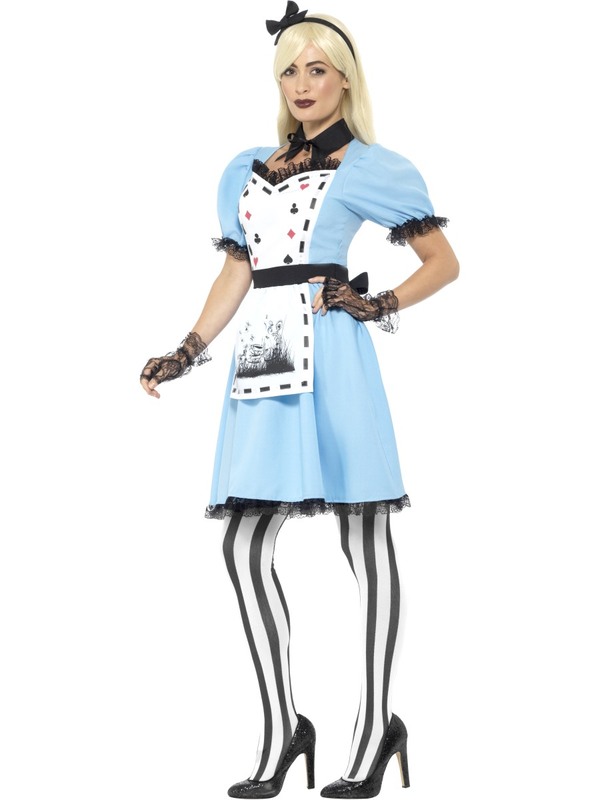 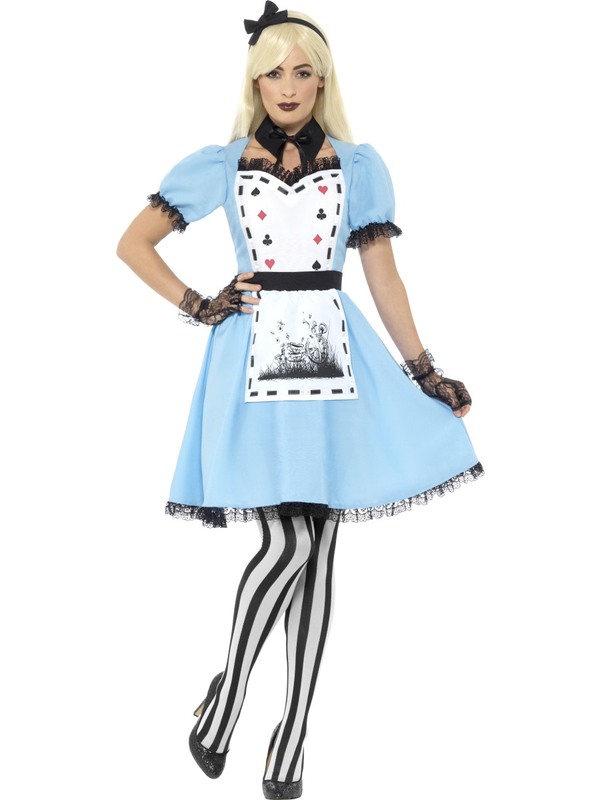 Our Deluxe Dark Tea Party Costume includes this blue Dress with attached Apron in photographic Tea Party print. 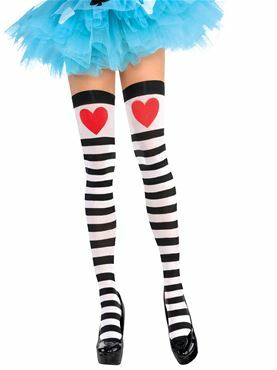 The black Satin Collar compliments the matching black Headband and pinstriped Tights. XS 4 - 6 28" - 30" 24" - 26" 34"